Latest update: 4/10/19 -- Flows are hovering around 90 cfs and fishing has been fairly consistent. Don't forget your dry fly box on cloudier days due to the abundance of midge hatches. A small parachute Adams trailed by a Griffiths Gnat or RS2 has been putting some risers in the net. Indicator fishing is going to be your best bet with good point flies being worms, eggs, and small stonefly patterns. Midge patterns sizes 20-24 are the most productive nymphs on this tailwater. The JujuBee Midge is one of our shop favorites. Fish will probably be stationed in the deeper runs and near cover. Don't forget to use your eyes and polarized glasses to sight some of the larger fish that reside in this tailwater . 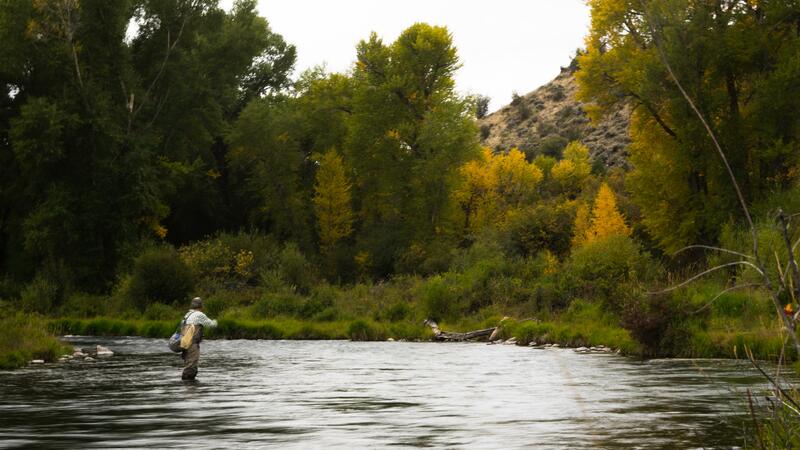 The Williams Fork river is another tributary of the Colorado worth exploring. The river is divided by Williams Fork Reservoir. The upper section is a classic high mountain stream ideal for a small 1-3wt fly rod and a box of bushy dry flies. The tailwater section below the reservoir is where most people head when fishing the "Willy's Fork". This tailwater can be quite susceptible to annual flows and the fishing can be very tough during low water years. During normal to high water years, the fishing can be superb, offering anglers the chance to catch sizeable, hard fighting Rainbow and Brown trout. This tailwater section is fairly short, coming in at about 2 miles long, before it reaches the Colorado River in the town of Parshall. The Williams Fork can be fished 12 months a year, however, Summer and Fall will certainly be the most productive seasons. Come summer, hatches abound and the dry fly fishing can be phenomenal. Mayflies, Caddis, Terrestrials, and small Stoneflies will all catch fish in both their dry and nymph varieties. The tailwater section of the Williams Fork can be accessed in two locations - both of which require approximately a 20 minute hike so make sure to bring some hydration. The river can be accessed off Hwy 40 at the town of Parshall by crossing the Colorado River and walking to the confluence. The other option is to head down County Rd 3, just east of Parshall, like you're headed to Williams Fork Reservoir. There is a DOW parking area on the west side of the road, approximately 1/3 mile south of the Colorado RIver. From here, follow the foot path to the river which is about 1 mile away.